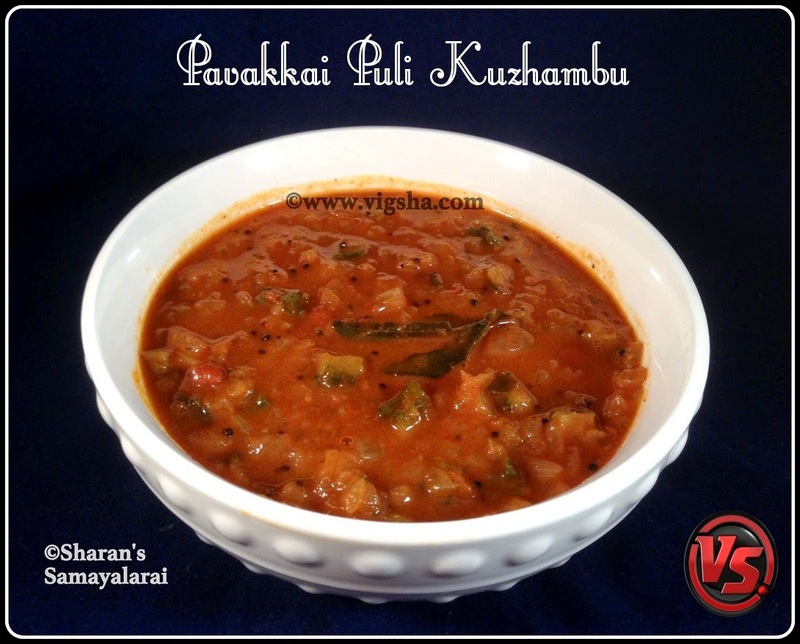 Pakarkaai Puli Kuzhambu is a typical south Indian home style gravy. 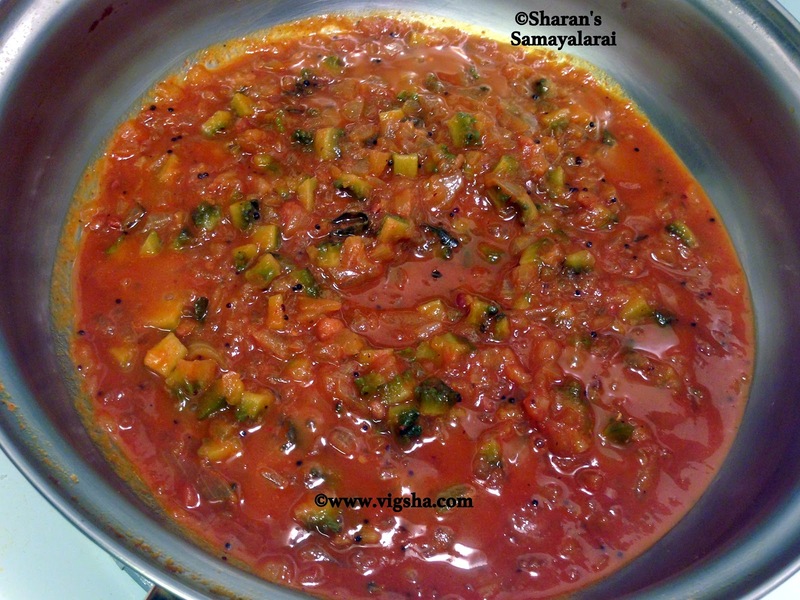 This veggie is loaded with goodness as it has excellent source of nutrition. Don't miss the notes section posted below the recipe, it has steps to over come the bitterness of bitter-gourd. 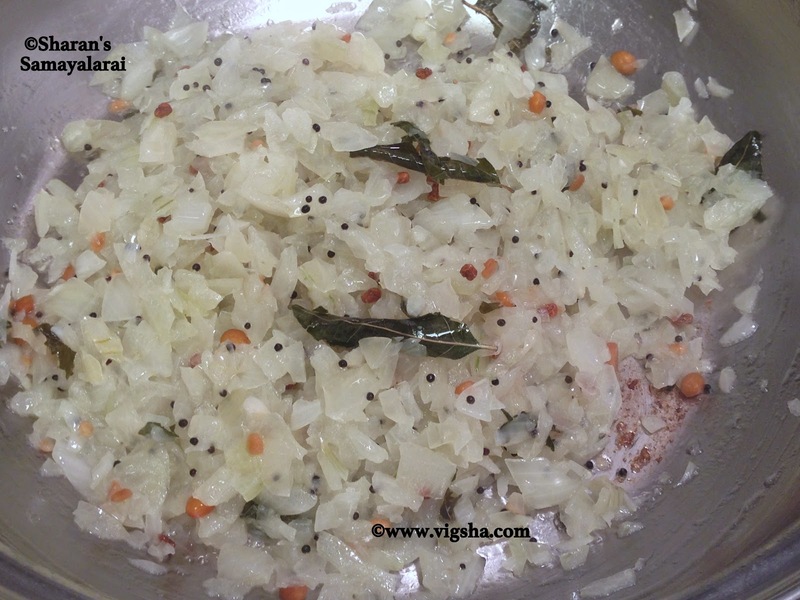 Today I am gonna post my mom's recipe.. 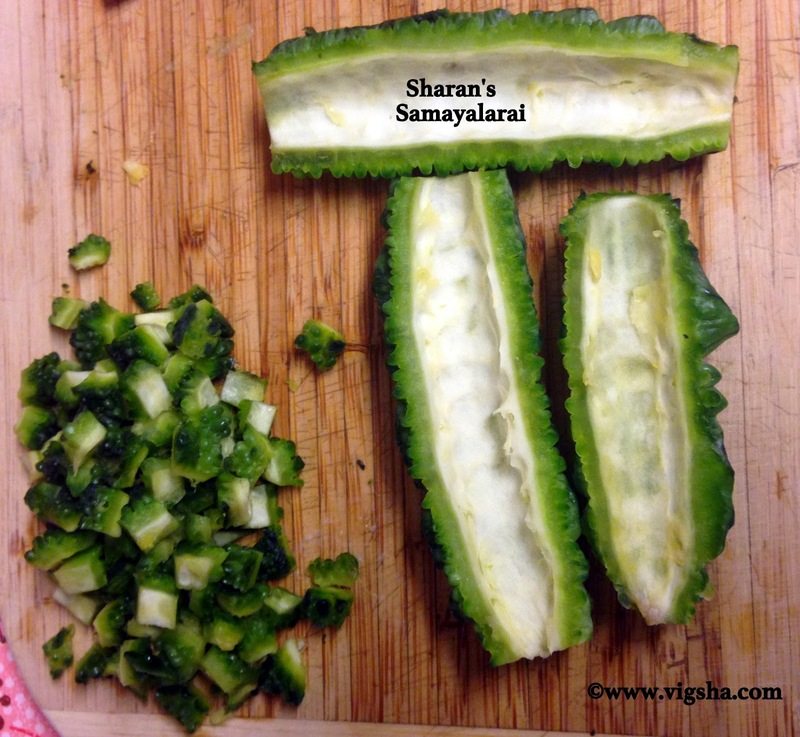 I am not a very big fan of this veggie, I have hardly tasted this veggie back in India. 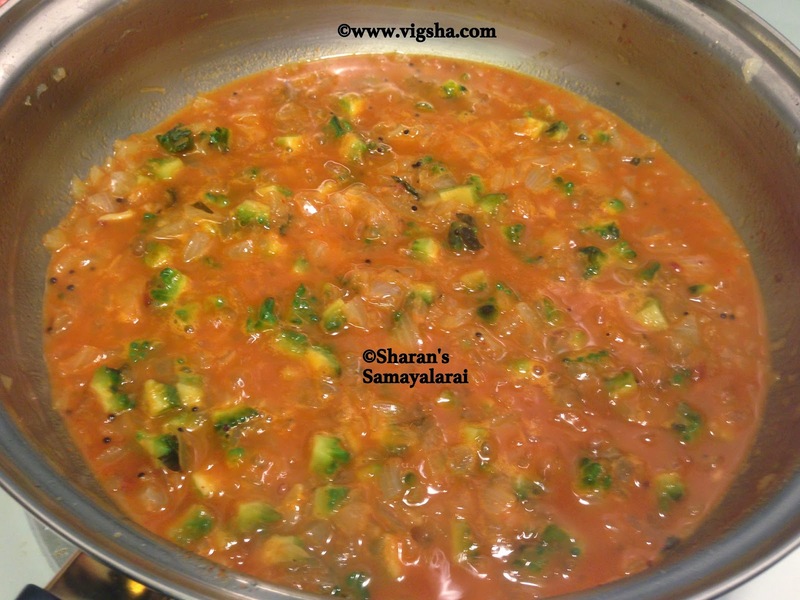 But after tasting this gravy, I made a point to prepare whenever this veggie is available at Indian stores. If you prepare it in the right way, you wont feel/taste the bitterness in the gravy. I'm posting this recipe for my hubby's friend, Kashif & his wife. He tasted it and liked it very much, he has requested for the recipe. Sorry for the delay ! 1). Wash and cut the bittergourd into two half. Discard the seeds and finely chop the bittergourd. Soak and extract juice from tamarind and keep aside. 2). Heat oil in a pan, add mustard and let it splutter. 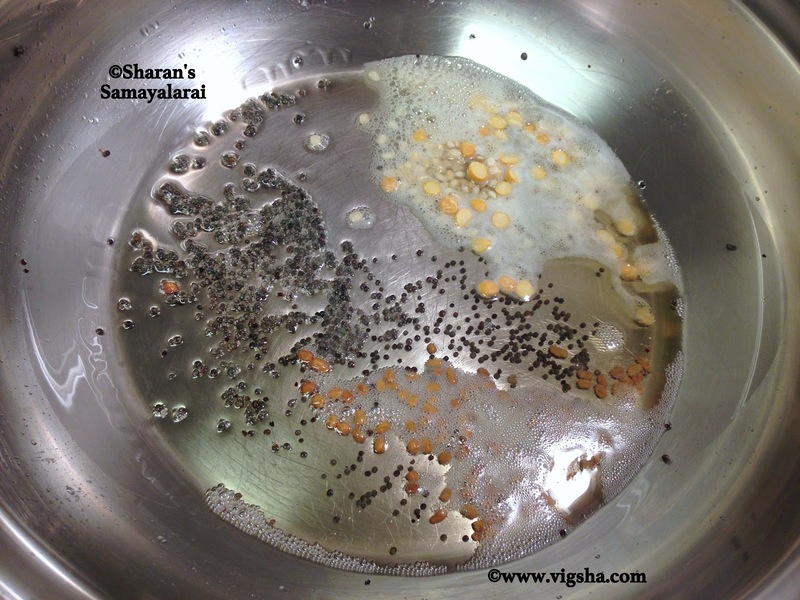 Then add urad dal, channa dal and fenu greek, saute till the dals become light brown. 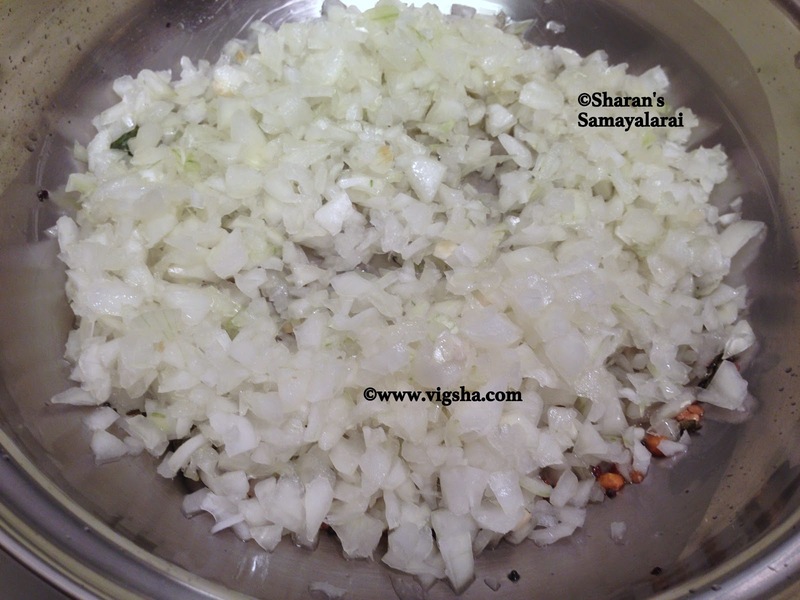 Add chopped onions along with curry leaves and saute till the onions turn translucent. 3). Add the chopped bittergourd and saute for few minutes. Then add the tamarind extract along with salt, turmeric powder and chilli powder. Mix well and let it boil. 4). Close with a lid and allow the gravy to thicken. Finally add a small piece of jaggery. 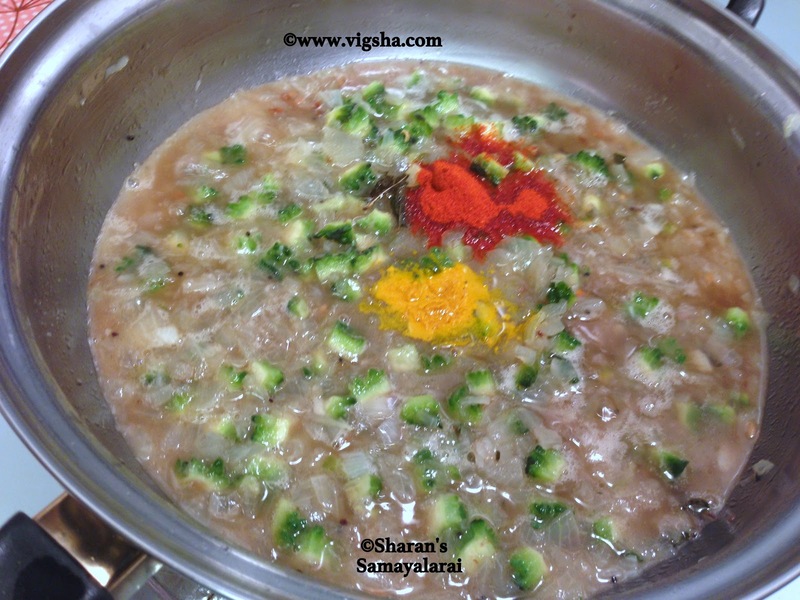 Cook till the veggie is fully cooked and oil separates. Switch off the stove. 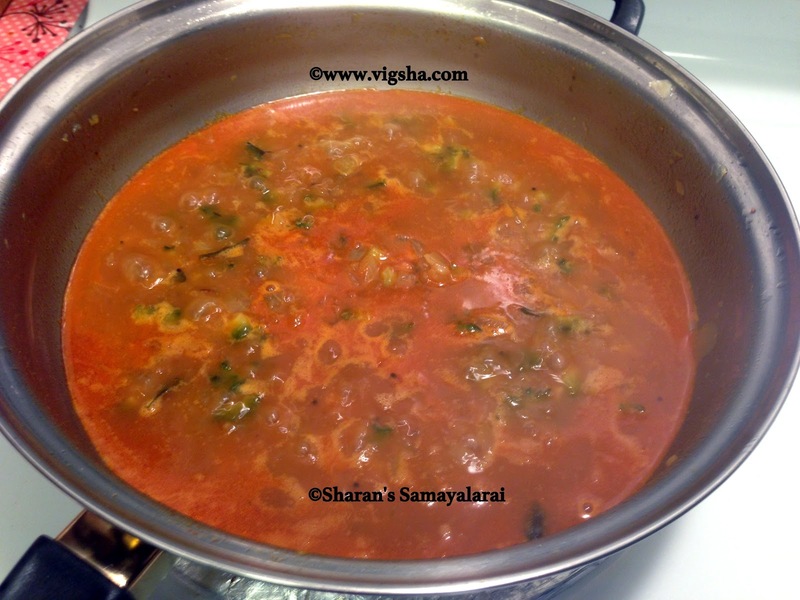 This gravy goes well with steamed rice and appalam or some simple stir fry ! # Select Bittergourd that is light green in color and has less thorns, which will have mild bitterness. 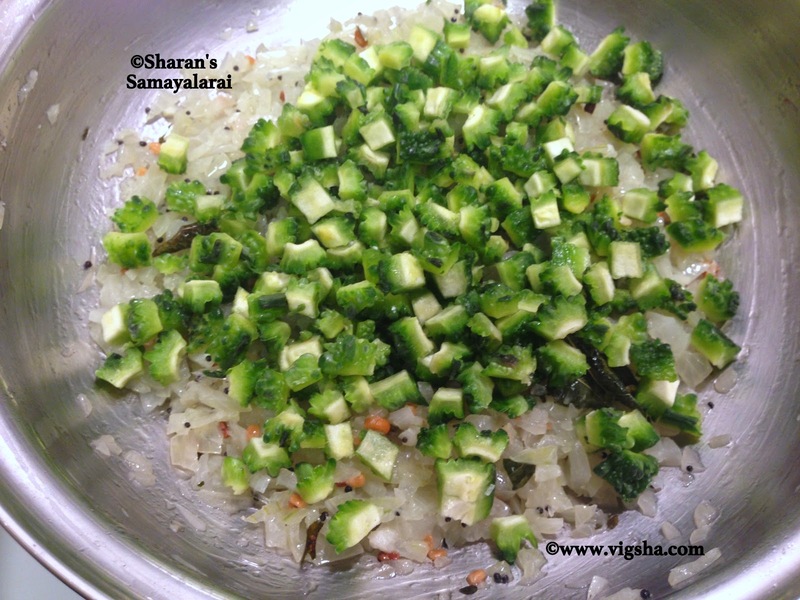 # Add salt to the chopped veggie and let it rest. After 5-10 minutes, squeeze out all the water and follow the above recipe. 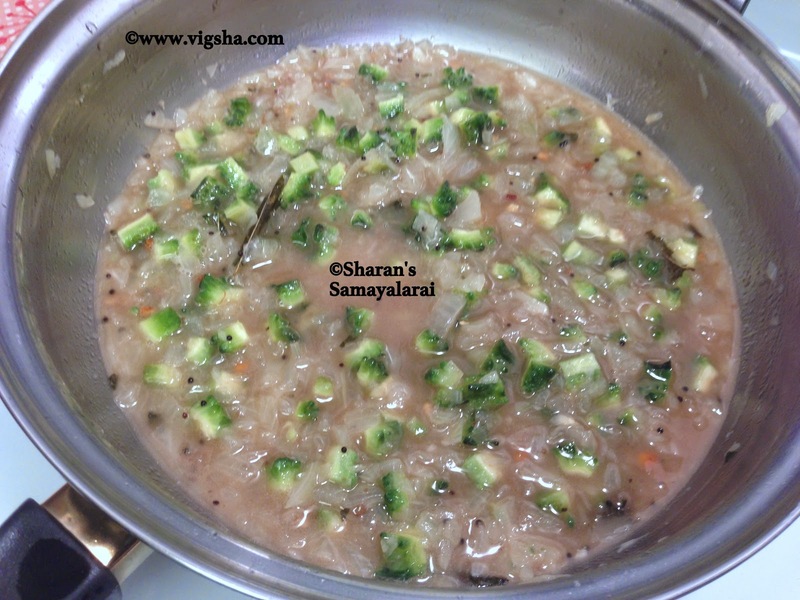 # Saute the veggie properly before adding the tamarind extract. 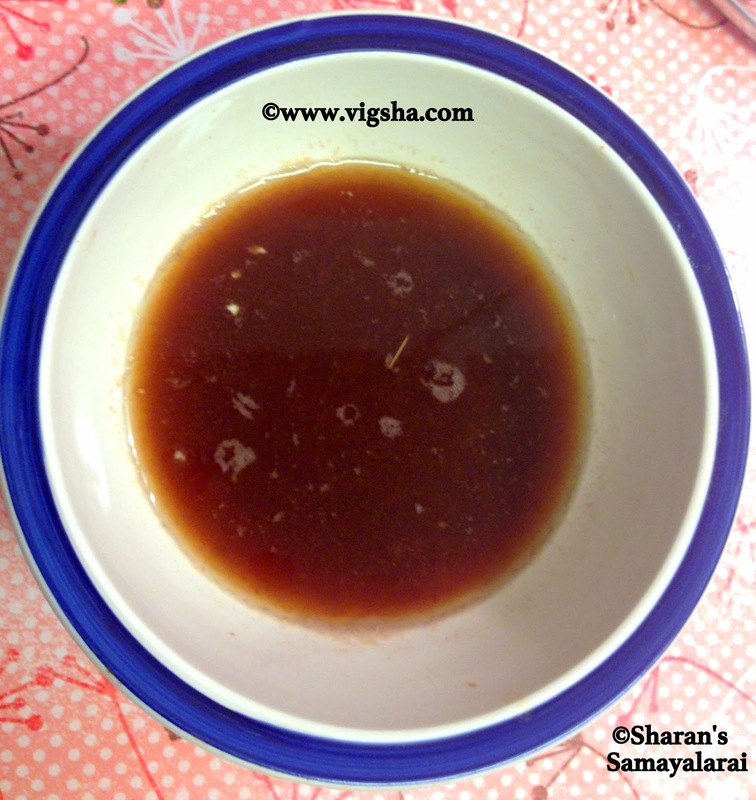 # Adding jaggery will give an excellent taste to the kuzhambu, so do not skip. # You can also use the seeds if they are tender otherwise discard them. I truly appreciate each and everyone of you who visit me, read my posts, and leave comments for me. If you have questions, I'll do my very best to answer them. All the pictures & contents in ©www.vigsha.com are copyright registered. Simple theme. Powered by Blogger.